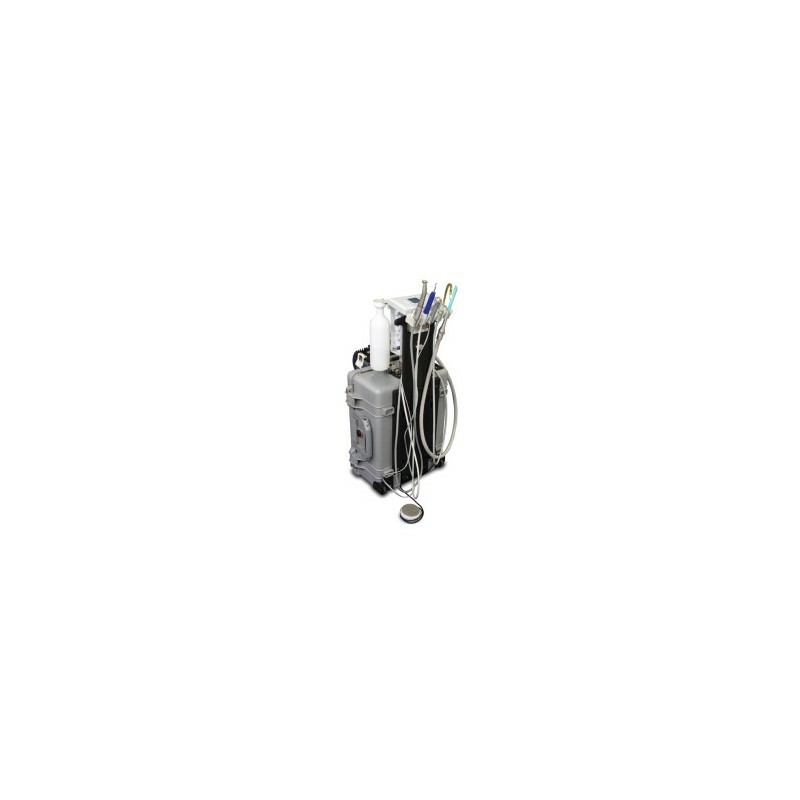 Powerful self contained electrical handpiece system for a multitude of dental applications including suction, highspeed, slowspeed, 3-way air/water syringe and endo functionality (8:1 ratio only). Easy to set up and operate. All components pack into the impact-resistant carrying case with wheels. Quiet and powerful compressor. 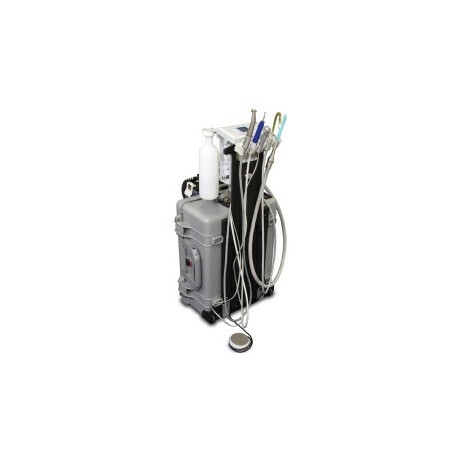 Accepts all E-Type handpieces w/internal irrigation. Handpieces not included. Allows individual components to be shipped for service rather than entire unit. Optional Built-In Piezo Scaler with LED & 3 tips, Item 4949. Weighs 63 lbs. Made in USA.